The house plat if you can find it. You should have received it when you bought your house. 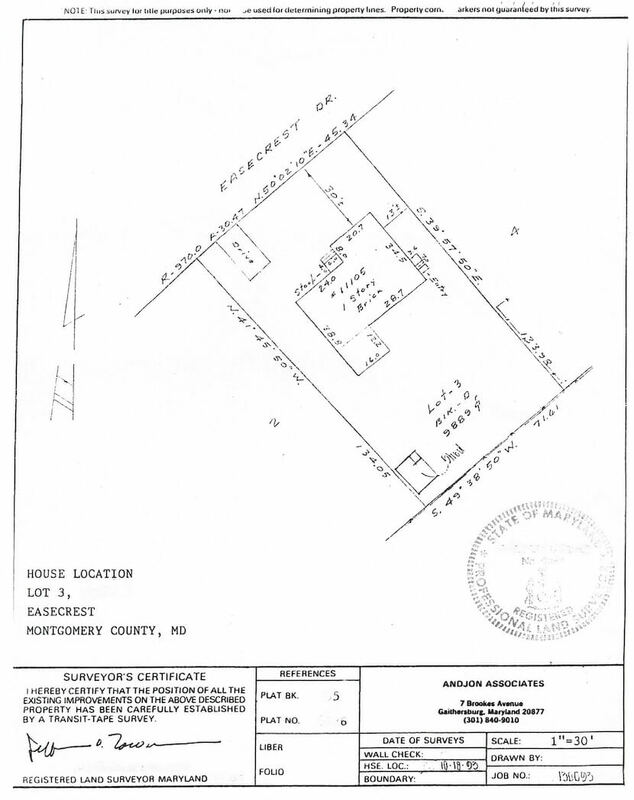 It shows your house on your house plot, the boundaries, setbacks, and other important information about the house and property you bought. It will look something like this. 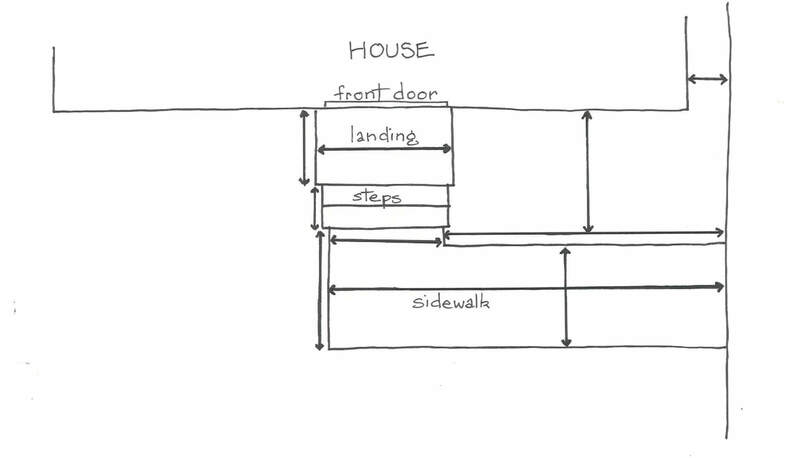 - Paper 8 ½” x 11.” Use plain printer paper or you can print graph paper to make it easier to draw. - A compass that shows North. There are free apps for this for your smartphone or you can find one at any sporting goods supplier. - A couple of straight sticks or garden stakes may be useful for marking spots or holding the end of the reel measure. - A friend can be a big help. Take a piece of plain or graph (www.incompetech.com/graphpaper/plain) paper. Turn it on its side, lengthwise or “landscape view.” Support it on a book or notebook and draw a simple picture of your house. NO ARTISTIC TALENT IS EXPECTED. It may help to take a look at the photograph you have taken, or you could trace over an enlargement of that photograph. Draw it as LARGE as possible. 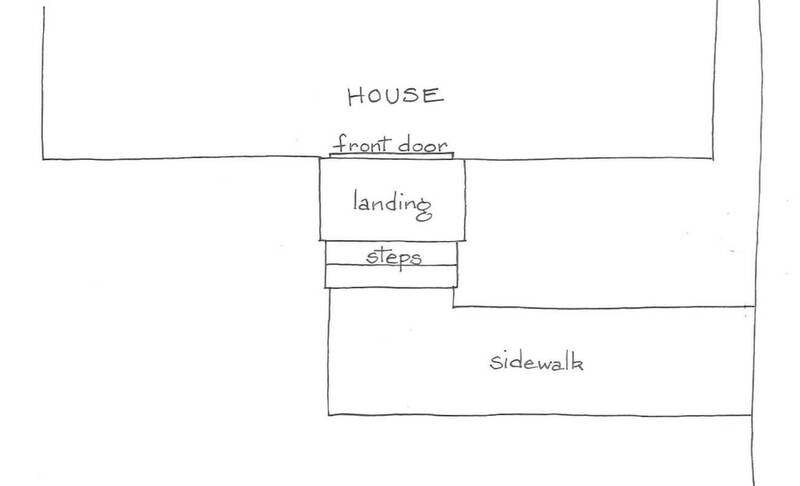 Draw in the first- floor windows, doors, porch, steps, and anything else that is part of the ground level house front. 2. Measure the distances between features. Add all of these measurements up. This total should equal the first total (the entire length of the house or the house plus garage). If it doesn’t, you will need to re-measure. 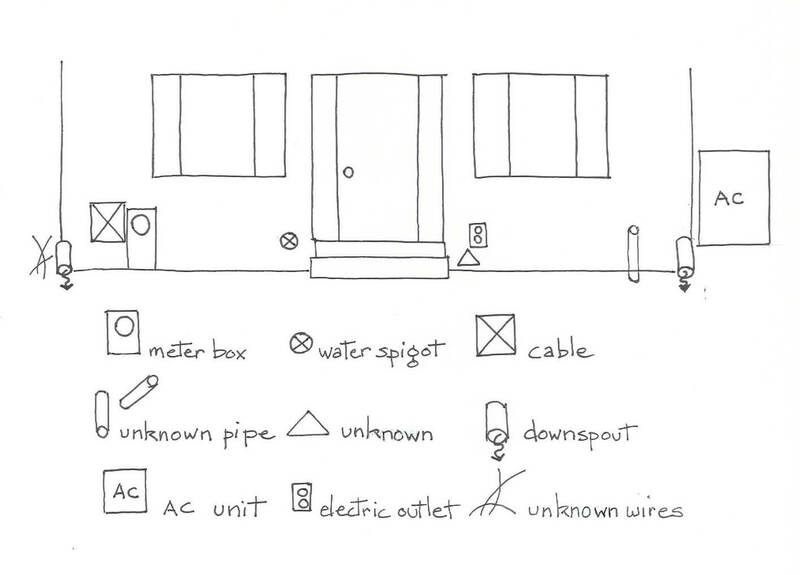 Use the list of symbols to draw the placement of any of these features on your house. 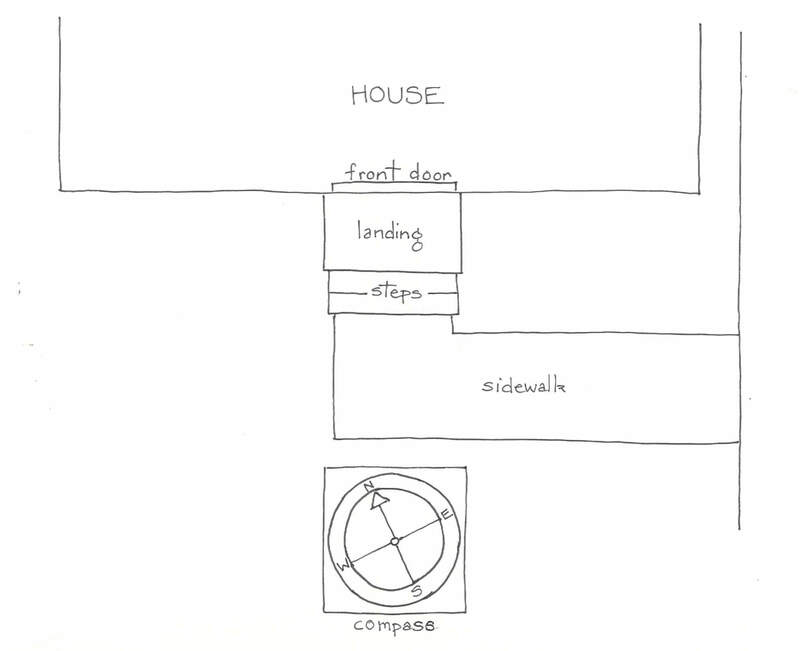 A plan view is like a map; it’s the view you would see if you were hovering above looking down on the scene. Keep it simple like the example below. Don’t worry about drawing skill, getting the measurements correct are what’s important. Hold your compass or your smartphone compass with 0 degrees against the front door and 180 degrees directly left, 90 degrees directly right. The north-south arrow will be at an angle. 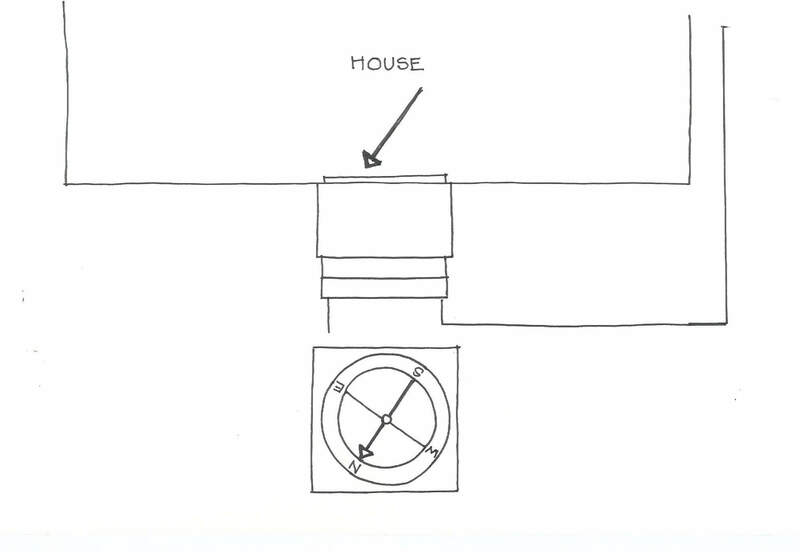 Copy that angled line in your “house” space. Draw an arrow at the north end. Look at the examples below. Stand near the house and look up at the gutter. Move until you think you are directly under the gutter’s edge. 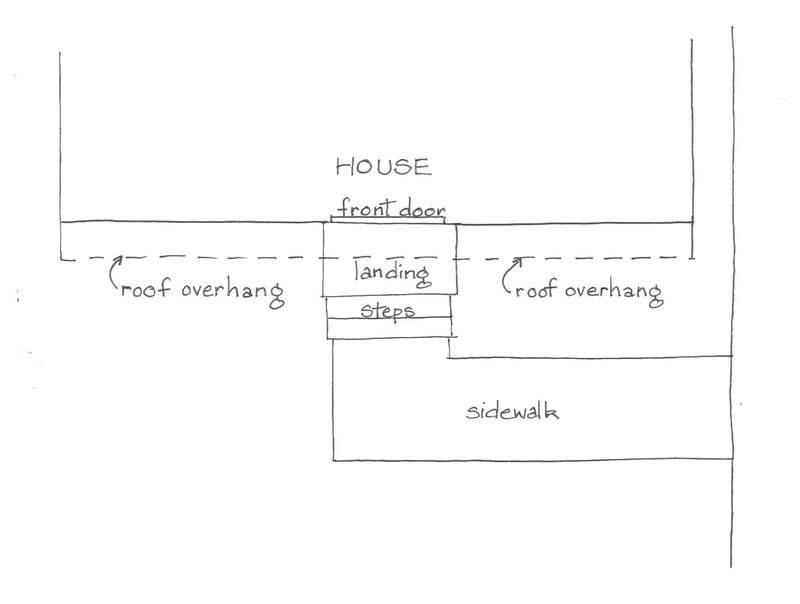 Measure the distance from the house to the middle of your feet or estimate how far you think the roof overhang is. Draw it on your plan as a broken line. Use the examples below to measure the important features of your plan. 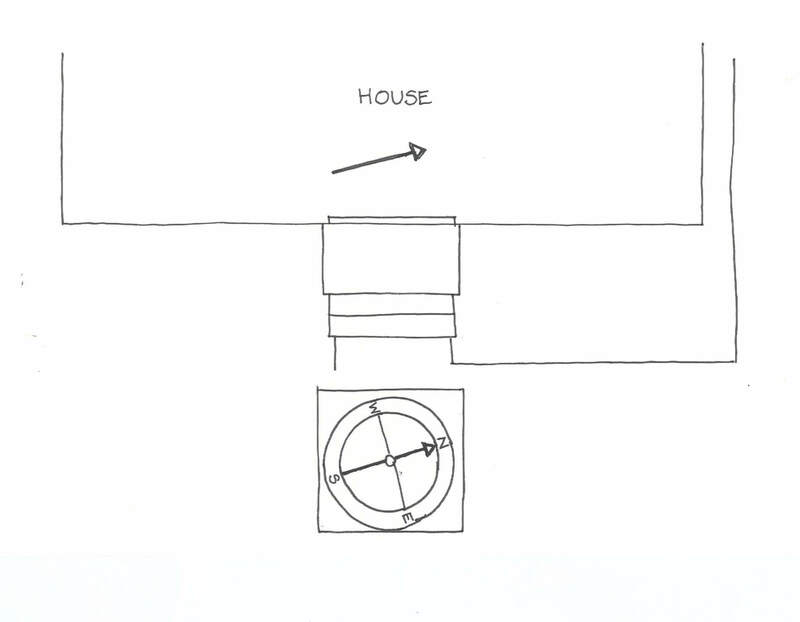 Use a double-ended arrow to indicate the lengths that you are measuring. 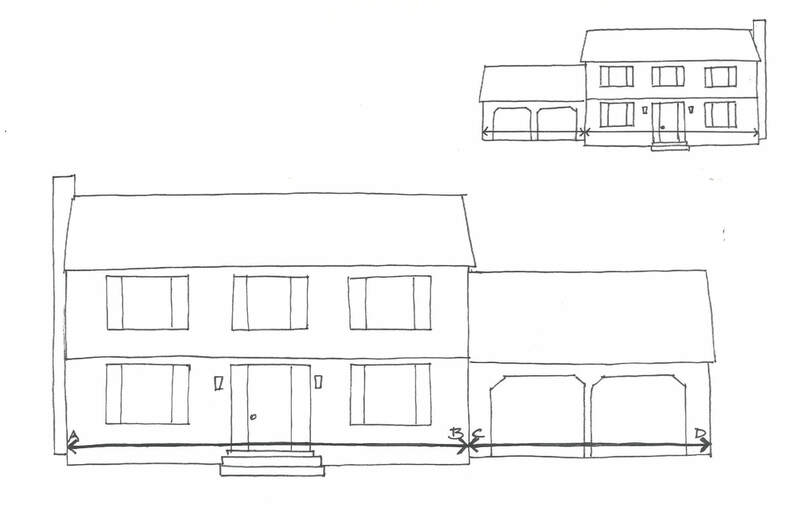 NOTE: If your plan view has many features, make several copies of the basic plan and use each one to take different measurements: trees, shrubs, walk and driveway, etc. Separate plans will keep the measurements from becoming messy and confused. 5. Draw and measure the trees and shrubs that will remain. Each tree and shrub that you are keeping will need two measurements from clear points on the house, or the corners of the walk to the center of the trunk or branches. They don’t have to be the same points, but you must draw them neatly. 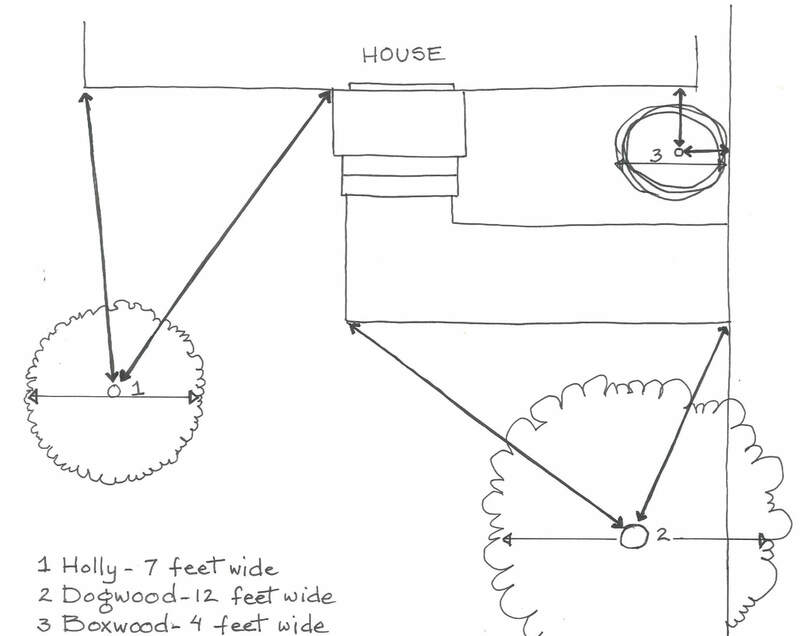 Measure the approximate width of each shrub or tree. If you know what they are called, label them “1”, “2”, “3”, etc. and list them with their names on a separate sheet of paper.